Don Freeman spent more than a half-century at The San Diego Union, later to become The San Diego Union-Tribune, as a refreshingly opinionated, humorous and whimsical writer whose graceful storytelling was admired by several generations of readers. He was among the most respected and widely read columnists in the newspaper’s history. 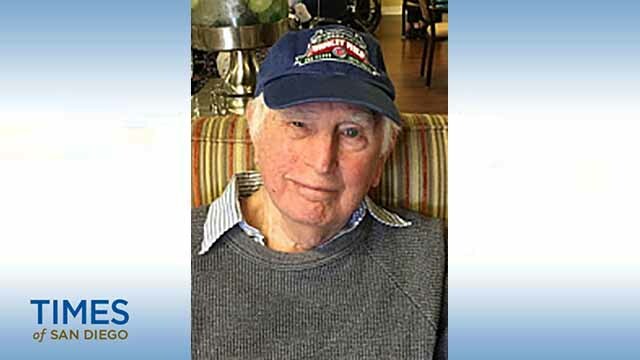 Freeman died of natural causes Thursday morning at Silverado Memory Care in Escondido. He was 95. A longtime Peabody Awards judge, Freeman interviewed and wrote about hundreds, perhaps thousands, of the biggest entertainers and celebrities in show business and was syndicated by Copley News Service. He left the paper in 2008. Given his proximity to Hollywood, he made frequent trips to network studios to interview and profile all manner of stars. His coverage of TV as a regular newspaper beat in the early 1950s was among the first in the country. Because of his engaging, friendly manner – both in person and in his writing, which was regarded as elegant and lyrical – Freeman enjoyed lasting close friendships with numerous celebrities of his era, including the late Charlton Heston, with whom he attended Northwestern University and later became a troopmate in the U.S. Army Air Corps. One of his favorite tales captured his close friendship with Heston during their Army days in Kitty Hawk, North Carolina, where both were stationed during World War II. Together, they served as news readers for the base radio station – the resonant-voiced Heston gave the news, Freeman read the sports. Once during Freeman’s sports report, Heston mischievously lit Freeman’s script ablaze, chortling with delight at the sight. 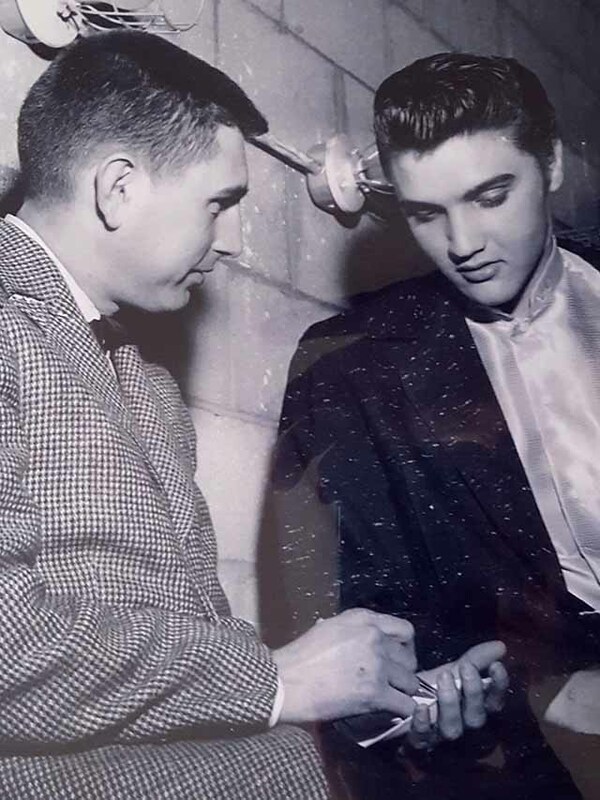 Freeman also maintained professional friendships with such luminaries as Bob Hope, Bing Crosby, Jackie Gleason, Frankie Laine, Andy Griffith, Meredith Willson, Henny Youngman and Regis Philbin among many others. In addition, Freeman befriended many prominent sports and broadcasting figures, including Ed Sullivan, Curt Gowdy, Howard Cosell and Jim McKay. Union-Tribune sports columnist Nick Canepa, whose own writing Freeman long admired, along with that of the newspaper’s late sports editor Jack Murphy, gave him the adoring nickname of “Maestro” for his deft turns of phrase. Though no great fan of technology, Freeman was proud that he embraced TV in the early 1950s, regarded as the “Golden Age of TV.” His original job title of “Radio/TV Editor” later was transposed to reflect the changing influence of TV. During the 1980s, based on his national reputation, he served as a judge for the prestigious Peabody Awards. Freeman was himself nominated several times for the Pulitzer Prize. Three of the books gained their unusual titles from Freeman’s own wry sense of humor and that of one of his heroes, radio humorist Fred Allen, who made cryptic observations about a new-fangled piece of talking furniture with moving pictures – the TV set. “Fish Don’t Applaud” derived from Bob Hope’s sanguine description of a fishing trip to Alaska. He missed the applause of his fans because fish don’t applaud. Freeman often wrote fondly and whimsically of his favorite topics, which included barbecue, college fight songs, James Thurber, the Broadway musical “The Music Man,” his fondness for all things Chicago, especially Wrigley Field and the Cubs, and his love of traditional jazz rooted in the 1940s and ’50s. He also wrote wistfully of George Gershwin and Jerome Kern melodies, Sinatra’s song stylings, Humphrey Bogart’s acting, W.C. Fields’ comic antics, and baseball’s classic nicknames. Occasionally, his wry opinions riled some readers, such as his tongue-in-cheek insistence that palm trees were ugly and that cats had no talent. He often recalled that Sinatra was his favorite interview subject – “My first question to Frank was simply, ‘Mr. Sinatra, how’d you learn how to sing?’” – along with Dean Martin and Bing Crosby. Among his many favorite traditional jazz artists were pianists Bill Evans, Oscar Peterson and Art Tatum. Freeman’s love of Tatum’s piano playing led to an enduring friendship with Sid Gillman, the late head coach of the San Diego Chargers, dating back to 1961, the fledging American Football League team’s first season in San Diego. Often, whenever Freeman saw the number “19” on a calendar or elsewhere, he instantly thought of Lance Alworth, the team’s star receiver of that era who wore the iconic No. 19 jersey. Freeman and his wife, Mary, were Chargers season-ticket holders for more than 25 years. Freeman’s longtime newspaper peers admired his graceful writing style and his wide-ranging show business contacts. His colleagues often spoke of his generous and gracious manner in the newsroom, which he regarded as a living sanctuary sprung from the legendary “Front Page” Broadway play and 1931 movie. Freeman also taught a popular creative writing course, first at UCSD Extension and later at San Diego State University’s College of Extended Studies. He often said that besides his column, teaching the craft of writing was his most rewarding role. Over his career, Freeman contributed to numerous national publications, including The Saturday Evening Post, TV Guide, Sport, Emmy and DownBeat. A native of Canada whose parents moved from his hometown of Winnipeg, Manitoba, to Chicago when he was a young boy, Donald Alexander Freeman moved to San Diego in 1950, when he married his wife, Mary Rae Brandell, at Grace Lutheran Church on Park Boulevard. At his passing, the couple had been married for 67 years. 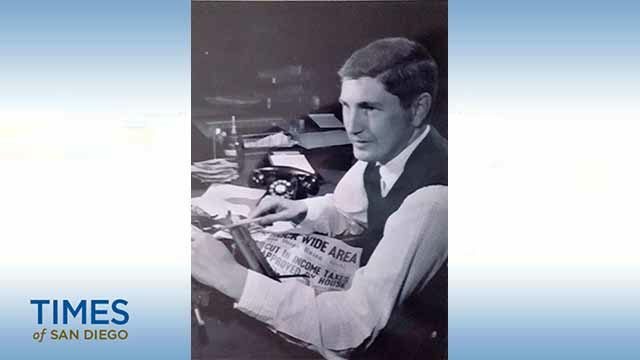 While a journalism student at Northwestern University, Freeman’s college years were interrupted in 1943 – two months before his graduation – when he enlisted in the Army Air Corps during World War II. 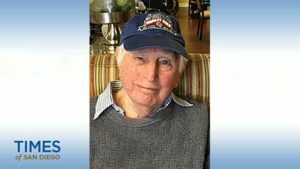 He often recalled how he was lucky enough to be spared being dispatched to the Battle of the Bulge. The son of a life-long professional musician whose mandolin solo was featured in the 1965 movie “Doctor Zhivago,” Freeman returned to Northwestern to earn his degree after the end of WWII. He then joined the Chicago Tribune sports staff, where he had worked part time as a student. He was proud that his editor was the legendary Arch Ward, who earlier had created baseball’s annual All-Star Game and the College All-Star Game. Freeman resided since 1953 with his wife in the Loma Portal section of Point Loma. He is survived by his wife, Mary, and sons John (San Diego) and Tom (Escondido), as well as three grandchildren. His sons wish to thank the caregivers of Silverado Memory Care in Escondido for their kindness and compassion. John Freeman, a son of Don Freeman, also worked at The San Diego Union-Tribune, beginning with the afternoon Tribune in 1984. By the time he left in 1997, he also held the title of TV/radio columnist.